The purpose of this presentation is to first educate the participants as to the civil process known as “medical malpractice” in Massachusetts. The materials will define the process and provide details on the potential claims, procedure, new protections and changes to the law and the benefits of a Tribunal to medical providers. The presentation will then define the different areas of civil litigation, including the discovery process, expert review and the expected actions through trial. It will also discuss the potential for resolution through Alternative Dispute Resolution (“ADR”). The presentation will then turn to the Boards of Registration that control their licenses. The general purpose of a Board will be discussed. Then some specifics that relate to several Boards will be provided: the Board of Social Workers, Allied Mental Health and Psychology. The Board of Nursing will also be included depending upon attendance. The presentation will provide data on the Boards, their members, their specific policies and guidelines and continuing education requirements. We will then discuss the Board Complaint process and some examples of common allegations in the Board Complaints. It will provide recommendations for response and outcome. 1. Participants will be able to identify the distinctions from a a Civil Action and a Board Matter. 2. Participants will be able to explain the most common matters encountered during both Civil Actions and Board matters. 3. Participants will create a summary with practical steps that can be taken to avoid, or try, both a Civil Action or a Board Matter. 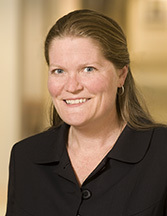 Jennifer Herlihy is an experienced trial attorney handling a variety of civil litigation matters, including medical malpractice, product liability, toxic torts and personal injury. Jennifer defends medical providers in medical malpractice, personajury, and product liability cases. She represents physicians, physician assistants, nurse practitioners, certified registered nurse anesthetists, hospitals, medical facilities, chiropractors, optometrists, nurses, dentists, speech pathologists, physical therapists, massage therapists, pharmacists, mental health providers, surgical technologists, social workers, attorneys and other professionals in both state and federal courts and before licensing and administrative boards. Checking in, on-site registration and networking are from 8:30 to 9:00 & the program is from 9:00 to noon. Fee for members is $50; Non-Members is $75. The program is intended for all mental health professionals and is a beginning to intermediate level on the subject matter. The Private Practice Colloquium's training facilities are handicap accessible. Individuals needing special accommodations, please contact the Private Practice Colloquium office@privatepracticecolloquium.com. The Private Practice Colloquium, Inc. (PPC) and Commonwealth Educational Seminars (CES) seek to ensure equitable treatment of every person and to make every attempt to resolve grievances in a fair manner. Please submit a written grievance to PPC, 564 Loring Avenue, Salem, MA 01970 or to CES, 1020 Osterville West Barnstable Rd, Marstons Mills, MA 02648. Grievances will initially be directed to the training instructor. Grievances would receive, to the best of our ability, corrective action in order to prevent further problems. If you have questions or concerns, contact PPC at (978) 741-8066 or Commonwealth Educational Seminars at (800) 376-3345. Continuing education credit is awarded by Commonwealth Educational Seminars. It is the participants responsibility to check with their individual state boards to verify CE requirements for their state. Commonwealth Educational Seminars (CES) is entitled to award continuing education credit for Social Workers. Please visit CES CE CREDIT to see all states that are covered for Social Workers. CES maintains responsibility for this program and its content. Social Workers completing this program will receive 3.0 clinical hours of clinical continuing education credit. Commonwealth Educational Seminars (CES) is entitled to award continuing education credit for Licensed Professional Counselors/Licensed Mental Health Counselors. Please visit CES CE CREDIT to see all states that are covered for LPCs/LMHCs. CES maintains responsibility for this program and its content. LPCs/LMHCs completing this program will receive 3.0 hours of continuing education credit. Commonwealth Educational Seminars is approved by the American Psychological Association to sponsor continuing education for Psychologists. Commonwealth Educational Seminars maintains responsibility for this program and its content. Psychologists receive 3.0 hours of continuing education credit upon completing this program. As an American Psychological Association approved provider, CES programs are accepted by the American Nurses Credentialing Center (ANCC). These courses can be utilized by nurses to renew their certification and will be accepted by the ANCC. Every state Board of Nursing accepts ANCC approved programs except California and Iowa, however CES is also an approved Continuing Education provider by the California Board of Registered Nursing, (Provider Number CEP15567) which is also accepted by the Iowa Board of Nursing. Nurses completing this program receive 3.0 CE hours of credit. Commonwealth Educational Seminars (CES) is entitled to award continuing education credit for Licensed Marriage & Family Therapists. Please visit CES CE CREDIT to see all states that are covered for LMFTs. CES maintains responsibility for this program and its content. LMFTs completing this program will receive 3.0 hours of continuing education credit.